Getting to know the grid and the spaces, day 2 was inevitable less stressful. 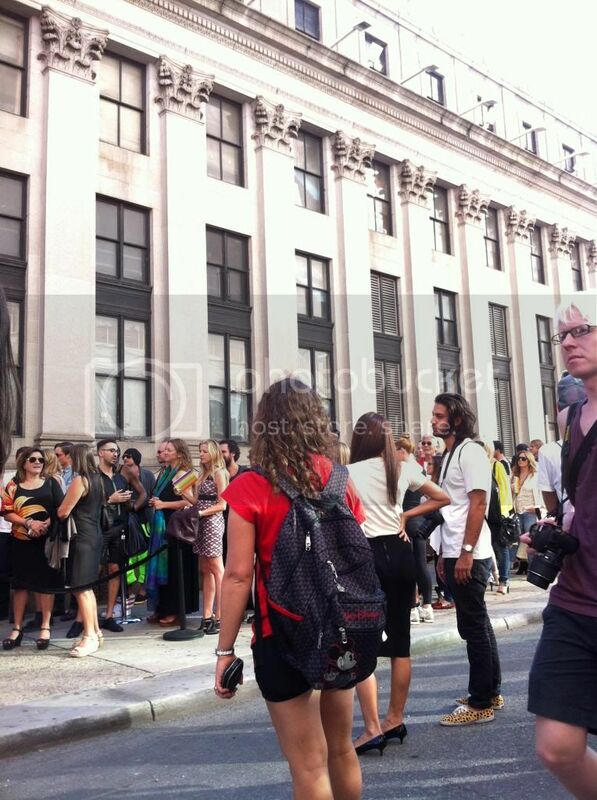 Plus, I decided not to sweat it and wore flats, which elevated my mood to heights no heels possibly could. This day begun on a bright note with smaller designers, and ended with a huge, loud show in a dark hangar stuffed with Asian fashionistos - intimacy, note to myself, is a much needed and rather lacking product at Fashion Week. What I saw: Lela Rose. Jeremy Laing. Creatures of Comfort. Y-3. 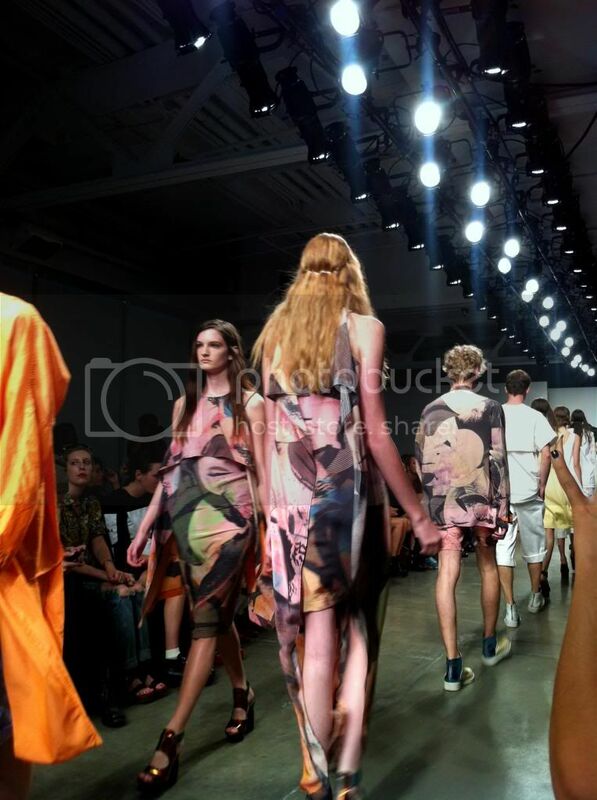 The first two actually presented un-boring, spring-like, wearable clothes - the prints are yummy. Granted, I was pretty late to Creatures of Comfort, but the venue and the setting were adorable. Y-3 had live drumming. One word: Wrong. What else did I do: Checked out Opening Ceremony's pop up store by the river. Got pampered at the Birchbox lounge. 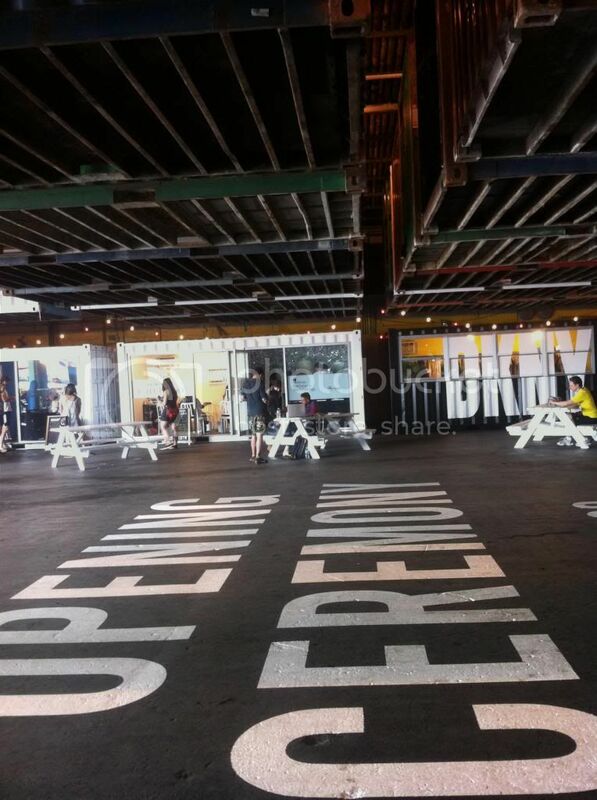 I took the day easy and let myself enjoy Sunday delights - Opening Ceremony has a delightful space on pier 57, including table-tennis and ice cream, and right across the street, Birchbox offers free make-up samples and an brow-bar (terrifying!) for "insiders" - even if they are from an Israeli magazine the girls at the door never heard of. Free samples. Including this thing I'm going to try, dry shampoo. 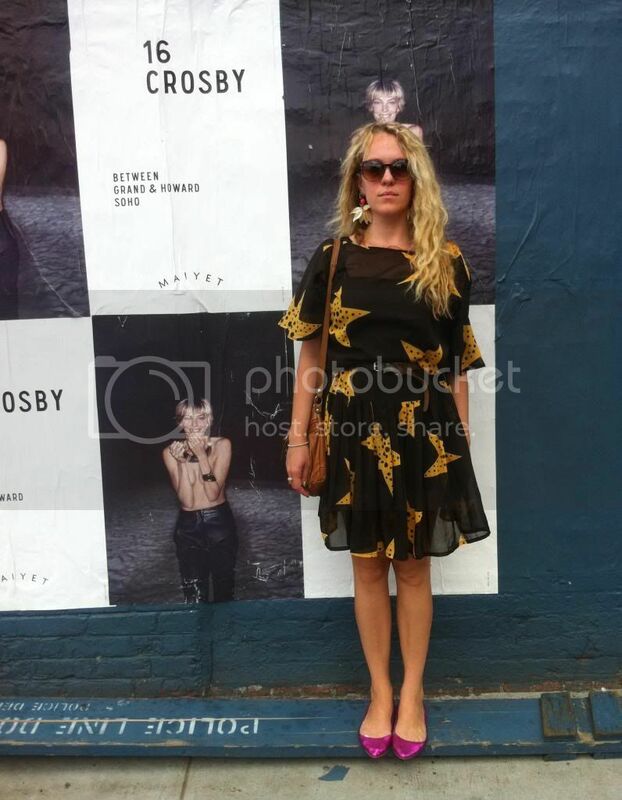 What I wore: A starry dress and flats, yes!! My feet hurt so badly from yesterday, I decided to do it Sunday style and went for relaxing flats. The dress, made by my mom's tailor back when she thought having a tailor is a posh idea, compensated. Plus, Liat Ginzburg's earrings! What will tomorrow bring? Stay tuned!